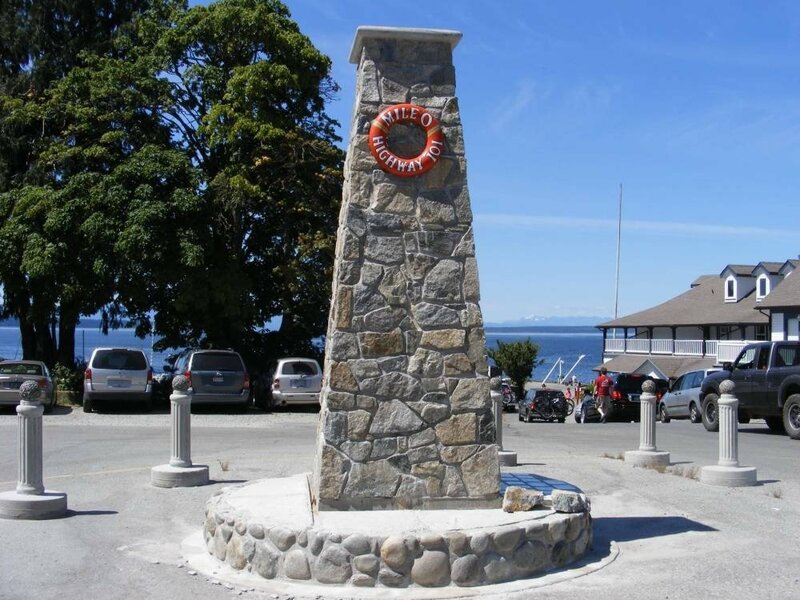 The picturesque seaside village of Lund, BC is located on the west coast of Canada, 128km north of Vancouver, on Canada's Sunshine Coast. With about three hundred year-round residents the population swells in the heat of summer as visitors arrive to enjoy Lund's charm. 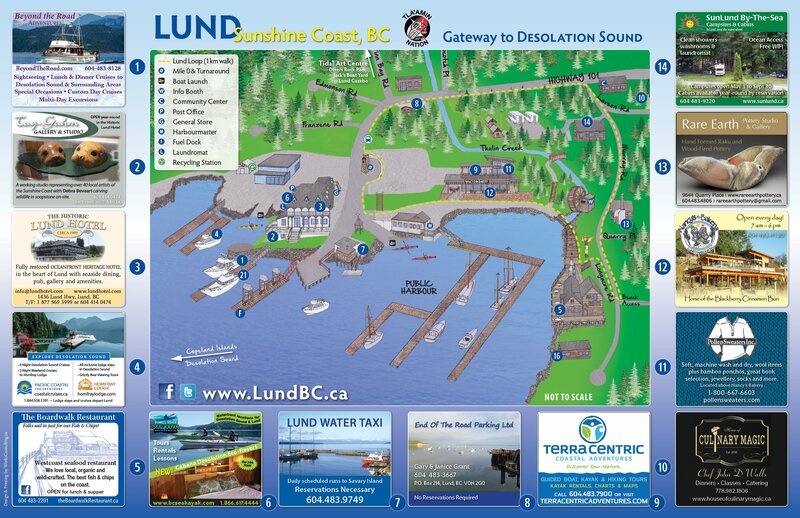 Lund is the gateway to Desolation Sound Provincial Park, the Copeland Islands, Okeover Inlet, Savary Island, and the Sunshine Coast Trail. 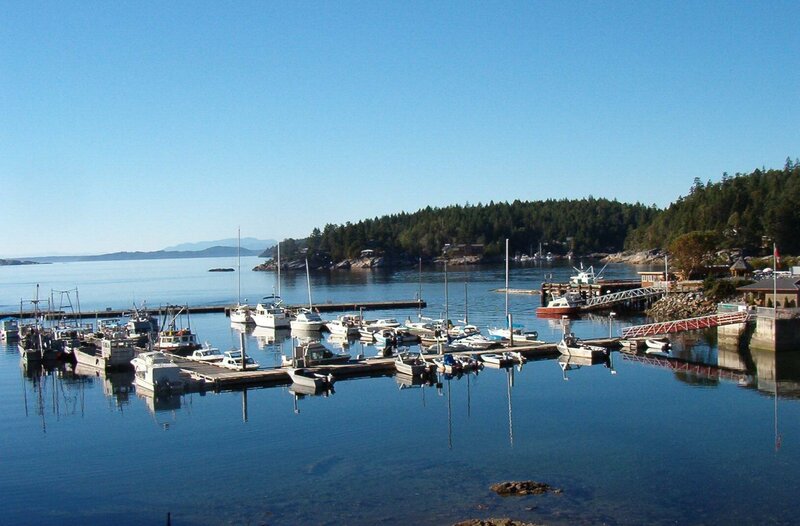 Sarah Point, 12km north of Lund, is the start of the 180km long Sunshine Coast Trail which ends in Saltery Bay. With several access points and tributaries along this route, this scenic trail offers easy day hikes and free hut-to-hut hiking for overnight treks. 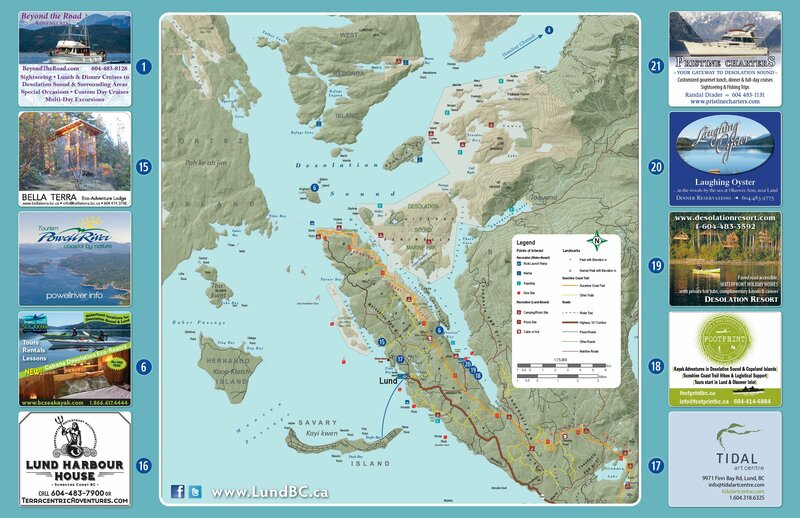 North of Lund Harbour, the pristine Copeland Islands Marine Park (aka Ragged Islands) hugs the shoreline towards world-renowned Desolation Sound. 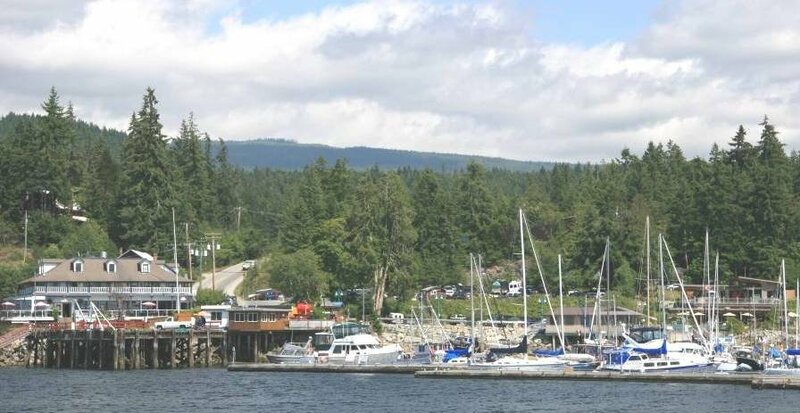 Another route to Desolation Sound is along Okeover Inlet past the oyster farms and through Malaspina Inlet. Both popular waterways are happily shared by sport fishers, pleasure boaters, kayakers and avid scuba divers who enjoy the excellent underwater visibility and abundant sea life. 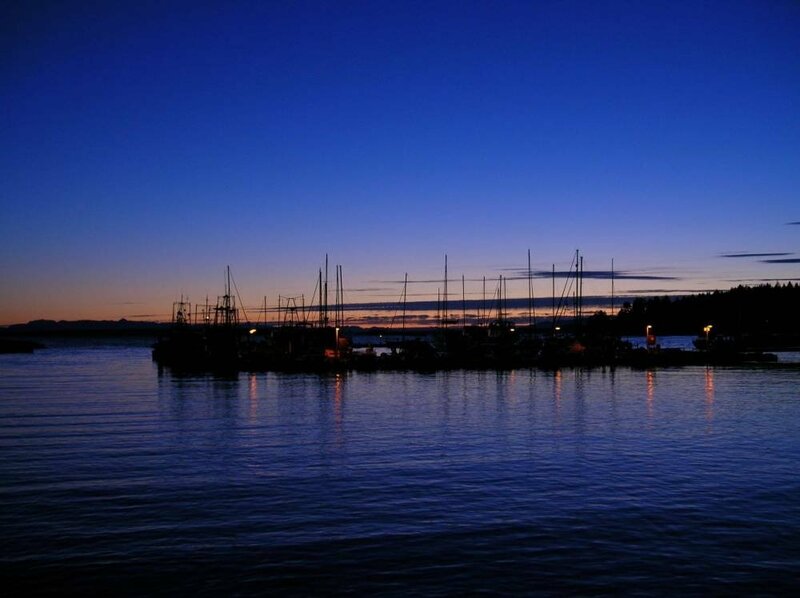 Sightseeing boats and kayak tour operators offer easy access to the area's ocean playground to experience curious seasonal sealions, seals, dolphins, humpback whales, and pods of orca whales.